Pyper Parental Surveys are designed to be implemented with the minimum of fuss - you can often get surveys active within 24 hours of placing your order! ... and we do the rest! We set up the surveys for you, and create a dedicated web page for your parents. You can test the survey before sharing the link with parents. We even provide you with a template letter to send out to parents. A report detailing any verbatim comments made by respondents. Q: Can I add my own questions to the survey? A: If you need your questionnaire in English only, then yes, we are happy to substitute up to ten of our questions for ten of your own, which will appear at the end of the survey. If you require a multilingual survey, then we would make a charge to add extra questions as they will need to be translated into the different languages required. Q: I think our parents would prefer a paper-based questionnaire. Can you provide this? A: With each survey, we provide a PDF file of the questionnaire in English so that you can print your own, if you so wish. This is usually a double-sided A4 sheet. We can provide a multi-lingual PDF, too, but this is less popular as it runs to several pages, significantly increasing your print costs. In terms of analysis, if you have a member of staff who is happy to input the responses and email them to us, that would not incur any further costs. If you require us to input the results of paper questionnaires, we are happy to do so. Our charge for this is £50+VAT per 100 questionnaires (or part thereof). You can, of course, run the paper and online surveys concurrently. A: We can accept cheques and bank transfers as payment. We raise an invoice at the point at which we send the survey live, and payment is due prior to the results being released to you. Q: You don't currently list one or more of the languages I require - can you add more? A: Yes, of course. There would be a small additional charge per language (usually around £40 + VAT) added to cover translation costs. Q: How do parents/carers find our survey? A: We provide you with a unique URL (web address) for your survey, which parents type into the address bar of their browser. Please note that your survey will not show up in search engines such as Google, Bing or Yahoo as we do not publish the link anywhere online - to do so would risk others not connected with your school completing the survey. Q: Can you track who completes the survey? A: We cannot track individual users but we can, for example, identify the unique IP address from which the survey was accessed. Thus, if you have a lot of results that surprise you (for example, one parent completing the survey multiple times) we can identify repeat completions on request. Q: What response rate should I expect to get? A: There is no definitive answer on this, as it is entirely dependent on the make-up of your student body. Smaller schools tend to have a far higher percentage of responses than larger schools, but issues such as ethnic origins and socio-economic groupings also affect response levels. This is also true of the Ofsted Parent View questionnaires that are handed out during inspections - response levels can be anywhere between 5% and 95%. Q: You say you provide posters with QR codes. 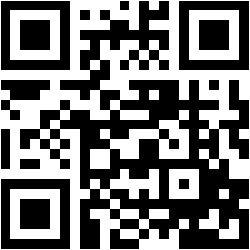 What is a QR code and how will this help? Copyright © 2018 Pyper York Limited. All rights reserved.